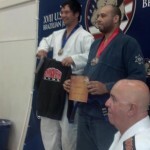 “Our BJJ competitors have been extremely successful in competition in the short time that Smash Gyms has been opened. We consistently have had numerous people win or medal at every competition we have entered. What have I learned from our competition success? It does not reflect one’s entire knowledge or skill in the art, but rather who can play this “game”. 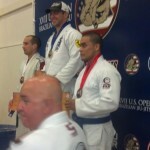 While winning is great, competition is only very small part of the entire art of BJJ. The rules of competition have changed over the years. This basically means a person or small group of people have begun to change the definition of what BJJ should look and be like. In my opinion, if one is true to the art and has integrity, they will stick to what they believe the art should be rather than change their views based on what a small committee decided. 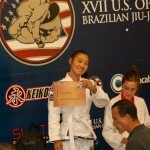 Most people begin taking Brazilian Jiu-jitsu as a martial art. This was especially true in the past when Sport BJJ tournaments were much more rare in the US. Many people who began training with the Gracie family in the early 90’s did not even know that BJJ Sport tournaments existed in Brazil. As more Brazilians moved to the US and more people reached Black Belt level it was natural for the sport jiu-jitsu to grow in the US as well. 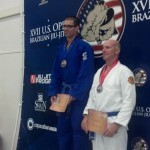 Sport BJJ is fun and many BJJ practitioners are competitive. Plus, the nature of the art is a that of a “show me” mentality. In BJJ you are able apply your skills with 100% live resistance and no one gets hurt. We do it in our training rooms together so it makes sense to have events where people from different schools can test their skills. Jiu-jitsu was originally designed to be effective in a fight. BJJ evolved from a Japanese prize fighting teaching Kano Jiu-Jitsu to Brazilians. The art continued to progress and evolve until the Gracie family showcased the art in the original UFC’s as the best martial in the world for a one-on-one fight. The UFC started as a infomercial to show the effectiveness of BJJ against other styles. Before the UFC: the Gracie family used “Gracie in Action” videos showing hundreds of victories in their bare-nuckle no rules challenge matches against other martial artists. This campaign from the Gracie family left little doubt that BJJ was an incredibly effective martial art. Jiu-jitsu has split into two very different directions: Sport vs. Martial Art. Some of the most effective techniques commonly used in today’s sport BJJ would be ridiculous to try in a fight. 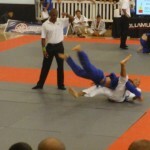 Many very effective grappling techniques are no longer allowed in sport BJJ. Jiu-jitsu for fighting has changed to Jiu-jitsu for grappling. High level sport BJJ has turned into a beautiful display of grappling that no one could have imagined. It has turned into a legitimate sport and is growing rapidly. The popularity is partly because it offers a unique option for anyone to compete against people who are the same age, same belt and same weight as themselves! This has turned hobbyist into competitors. People who like to compete in individual sports can continue to do so in a level playing field far passed high school or college. Sport BJJ has created communities , friendships and families within teams. This is a beautiful thing. Other arts have followed this path and often the sport flourishes and the art dies. Many other martial arts have become great sports but lost much along the way. As more rules are introduced, the less effective the sport is as a martial art. Most top sport BJJ practitioners would still be very effective in a one on one fight against an untrained and unarmed attacker. New BJJ practitioners trying to mimic sport jiu-jitsu technique in a real fight could get hurt. If you look at the evolution of BJJ vs Judo one can argue that same art changed radically under different conditions. The Gracie family learned the same art that was practiced in Japan in the early 1900’s. In Brazil very few rules were added and the environment supported creativity and innovation. Meanwhile in Japan traditions and rules took the sport in an entirely different direction. These rules helped the sport of Judo grow all the way to the Olympic games. But the rules obviously hurt the effectiveness as a martial art. Meanwhile in Brazil practitioners were not forced to stand straight up, they did not add time limits for ground work, or rounds. The absence of rules made the art much more effective in a fight and led to BJJ. The addition of rules made the art of Judo much less effective in a fight but lead to it becoming an Olympic Sport. This of course is not to say Judo guys can’t fight. 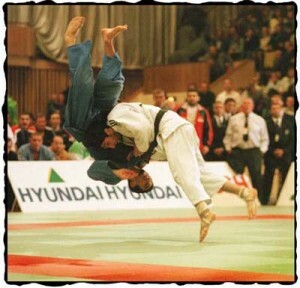 Top Judoks are some of the toughest guys to walk the Earth. Same thing with collegiate or olympic wrestlers, boxers and who ever else practices full force sparring. As a martial art though you would have to be terribly biased to think the sports of wrestling or judo match up with BJJ as a stand alone martial art for the average person. At Smash we believe that it is important for students that attend our Brazilian Jiu-Jitsu classes to remember that Jiu-jitsu is a martial art first. Royce Gracie didn’t pull guard in the first UFC. Royce took people down, punched them then submitted his opponents. We give our students the ability to do this first. At Smash we teach a very definitive system of Jiu-jitsu. 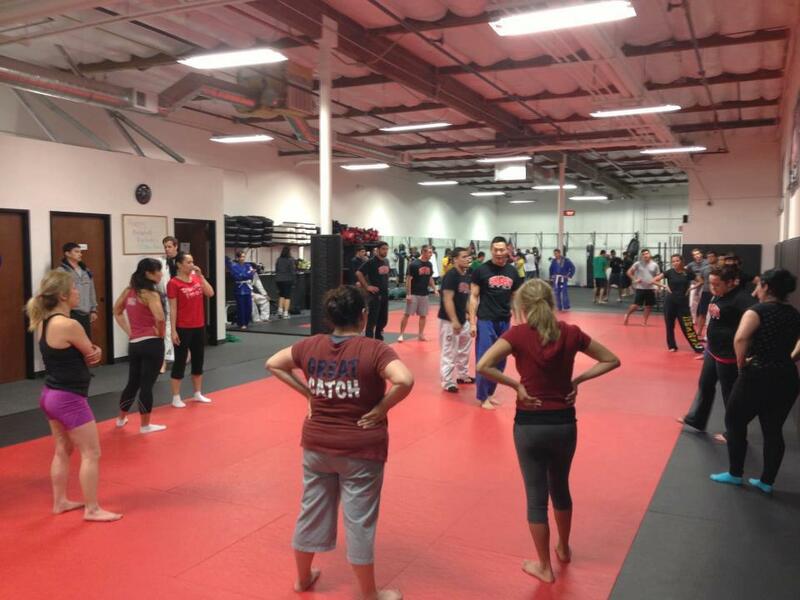 Our core system consists of carefully chosen techniques and systems designed to be effective in MMA, Sport BJJ and a one-on-one self defense situations. Once our students are proficient in the core system then they will be taught supplemental techniques based on their goals. 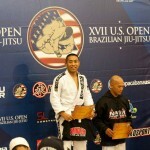 Is the Sport BJJ good for the Jiu-jitsu as a martial art? Yes! 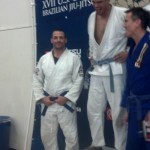 The sport definitely helps raise awareness of BJJ. It helps teams and schools with retention and team camaraderie. In the end every practitioner needs to decide why they train and find a school and instructor that fits their goals.